We did it! After a gruelling 9 months, Edge's 10 budding walkers have reached the 500 Miles target. Over the last month the walkers have left Oxford and travelled the remaining 60 miles to reach Edge's London office. At Edge's 10th Anniversary celebrtaion, representatives from the 10 chosen charities were in attendance and were each presented with a cheque from CEO Brian Ferrie culminating of the money raised from Edge’s 500 miles fundraising initiative. 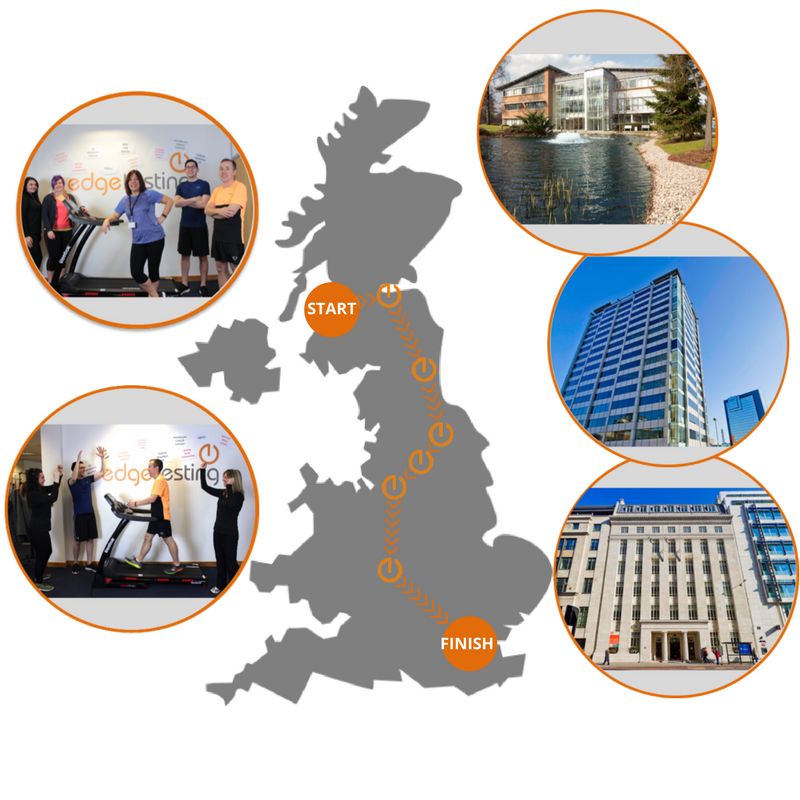 To celebrate our 10 Year Anniversary, 10 Edge volunteers embarked on a journey of ‘walking 500 miles’ from our Glasgow office to our London office via our Birmingham office (with the help of a treadmill) in support of 10 chosen charities. Edge donated £10 to the charities for every 10 miles walked with the proceeds being split between the 10 charities at the end of the walk. The 10 chairties consist of both local and national charities that are close to Edge and our employees' hearts.